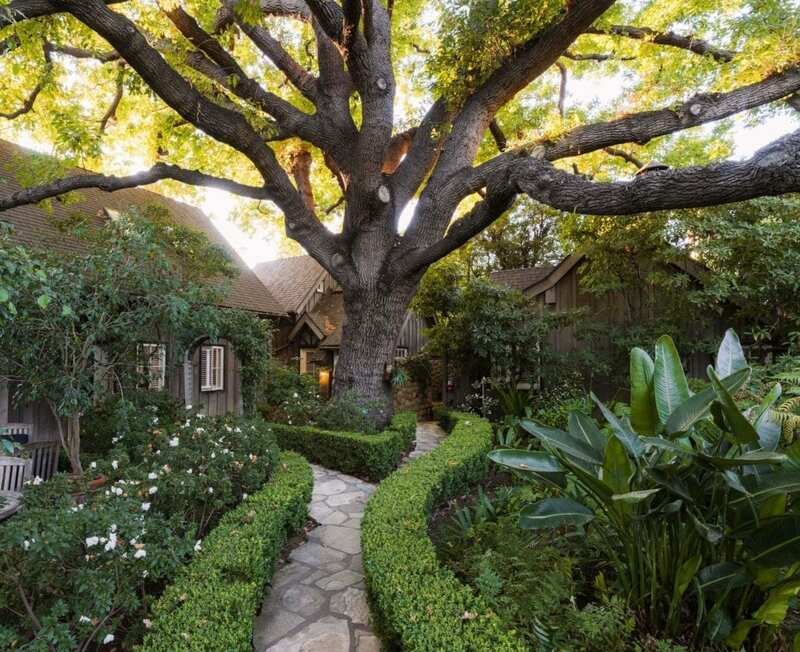 This 1874 Historic Landmark Victorian estate is in an acre of landscaped gardens, yet just a five-minute walk from the historic downtown, restaurants, shopping, theater, and easy access to the beach. Guest rooms are individually decorated, but the overriding design is of timeless elegance and comfort. Antique wood beds, oriental rugs, wing back chairs in front of wood-burning fireplaces, and clawfoot or jetted tubs, private decks, porches and patios are some of the room features. The Victorian Estate home rooms have been restored with unique Victorian wallpaper treatments. 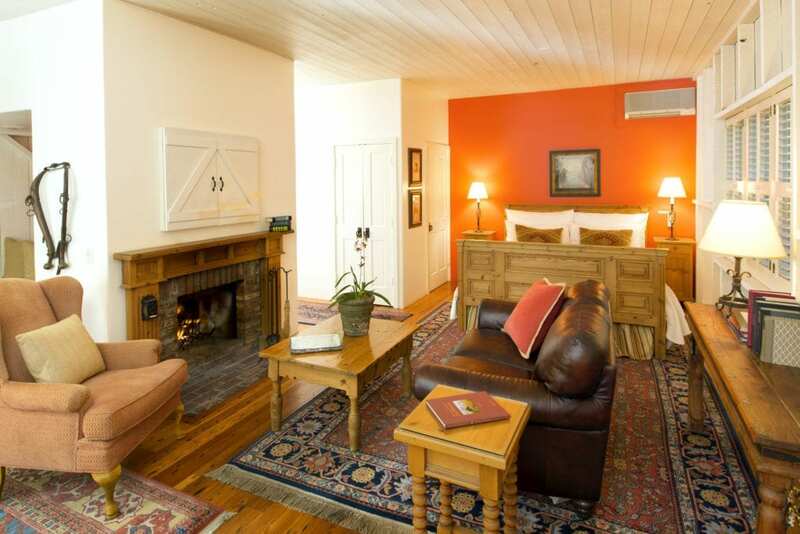 The restored Carriage House offers spacious accommodations, light and airy with antique pine floors. 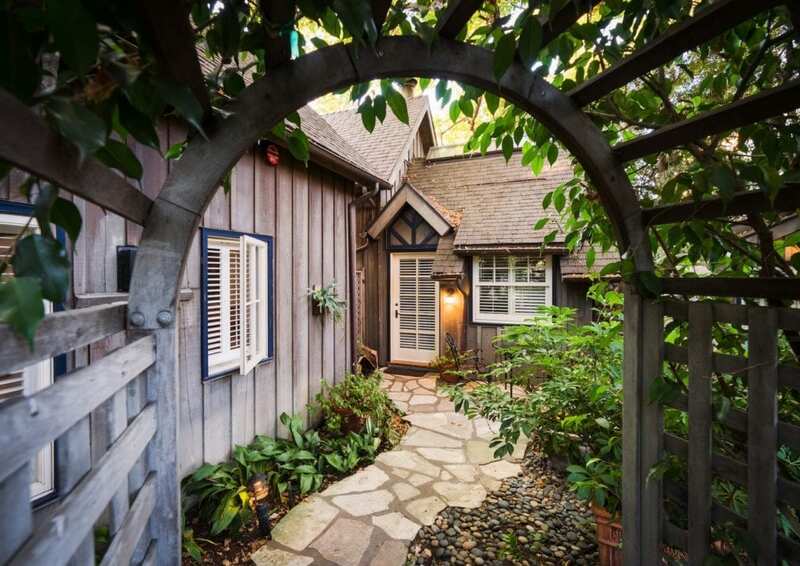 English Garden Cottages are intimate with rich fabrics, fireplaces and tub nestled into a bay window. The wrap-around verandah of the main house and the sitting areas where you can enjoy the gardens and the soothing fountains transport you a world away. 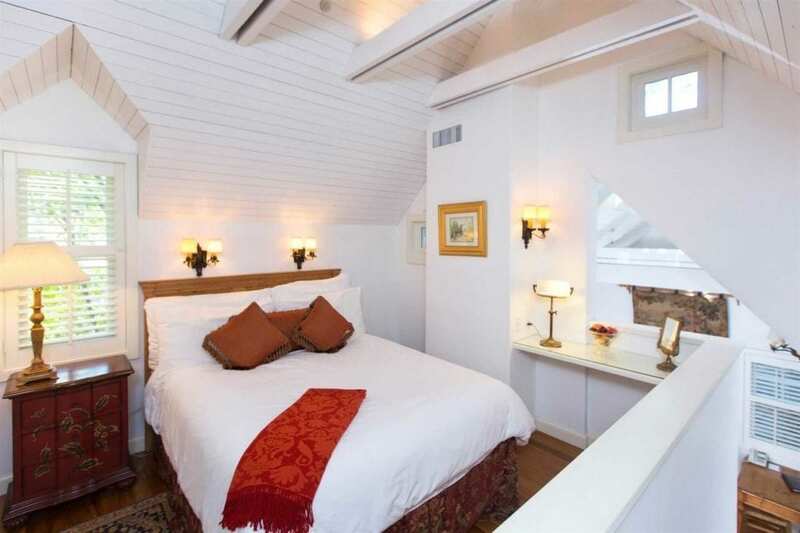 Each room enjoys niceties such as robes and fresh orchids. Enjoy breakfast delivered to your room, in the main house or on the verandah. Alongside an offering of homemade granola and baked goods, the breakfast changes daily. Be welcomed with an afternoon refreshment buffet. Local wine tasting and Mediterranean hors d’oeuvres buffet are offered at 5:30p.m. In the evening dessert bites and popcorn are available. 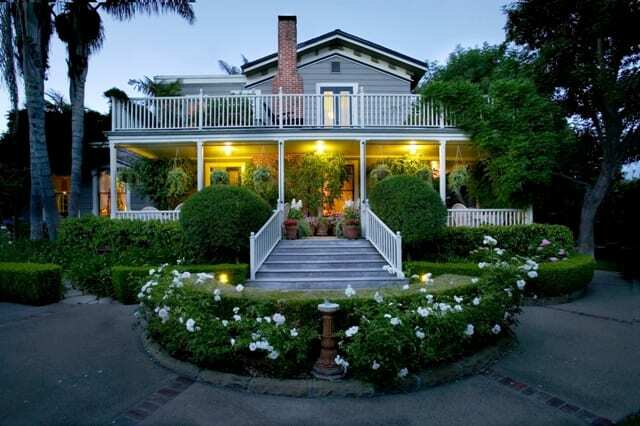 With its envious location, tranquil setting, attentive service, and imaginative cuisine, the Simpson House Inn offers a retreat & respite in the heart of Santa Barbara.